RECORDING OUR PAST accurately and using appropriate language around illegal adoption are just some of the issues that a new collaborative forum will discuss. Nineteen appointments to a collaborative forum for former residents of Mother and Baby Homes have been announced this morning. The membership of the forum also includes those with a comparable experience in a County Home, advocates and family members of former residents. Samantha Long is one of the appointments. 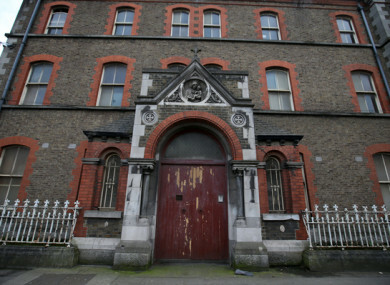 Her mother Margaret Bullen was placed in Gloucester Street (now Sean McDermott Street) Laundry in 1967 and died 35 years later, never having been released into society and her own home. Margaret died of an illness known as Goodpasture Syndrome, a disease of the kidneys and liver – one of the causes is exposure to industrial-strength chemicals such as those used in the Laundries. Speaking to TheJournal.ie Long said she has a particular interest in memorisation and hopes to work on the memorialisation and personal narratives sub-committee within the forum. “Because of my history of telling and retelling my story, my real interest now is in memorialisation and what can be done so we don’t forget what happened and that we record it properly for future generations. I say that as a mother who wants my children and their generation to be able to understand what happened and why it happened, even after these women’s voices are gone, and to remember what happened in a realistic way. Her own mother, Margaret Bullen, is buried in a communal grave in Glasnevin cemetery. Long said she has only been there once as it’s too painful. Long said it’s also important that we don’t “whitewash the facts as we know them” adding that “fitting memorials that can teach people about the past and how far we’ve moved on”. Co-founder of Adoption Rights Alliance Susan Lohan told this website that her inclusion on the forum is to “represent people who can’t bring themselves to use their own voice”. She said these women are still suffering but they feel they couldn’t possibly engage in public in this kind of forum. Lohan said one of the things she would like is for this forum to define “terminology that is respectful and appropriate”. We should not be talking about ‘incorrect birth certs’, we should be talking about illegal adoptions. She said language can be sanitising and minimising. It’s like somebody saying ‘oh we made a clinical error’ as if there was no deceit or strategic motives behind it when in fact it was a strategic policy. She said we need to debunk popular myths and have accountability of the perpetrators of human rights. “They illegally registered all of those children as if they had been born to adoptive parents”. The Minister for Children and Youth Affairs, Katherine Zappone said the forum gives a strong voice to former residents. The fundamental principle behind the Collaborative Forum is that those affected by a decision have the right to be centrally involved in the decision making process. The first meeting of the Forum will be held in Government Buildings on 26 July at 12pm. The 19 members are: Rosemary Adaser, Mary Lawor, Conrad Bryan, Susan Lohan, Carmel Cantwell, Samantha Long, Alice Carroll, Patrick McDonagh, Alice Coughlan, Alice McEvoy, Kathy Finn, Helen McGree, Mary Harney, Finbar O’Regan, Bernie Harold, Amanda Quigley, Terri Harrison, Paul Redmond and Sidney Herdman. Email “Women never released into society and strategic deceit of illegal adoptions: 'We can't forget' ”. Feedback on “Women never released into society and strategic deceit of illegal adoptions: 'We can't forget' ”.